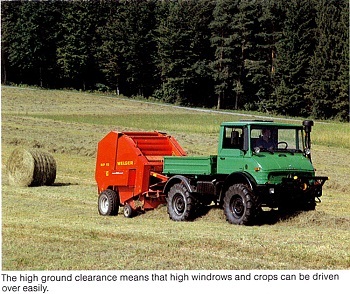 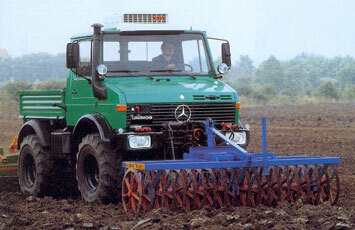 The Unimog. 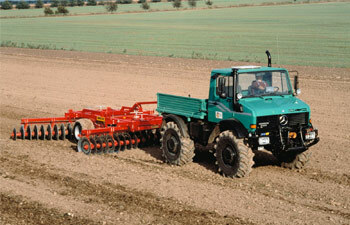 The secure investment for your all-wheel-drive agricultural tractor. 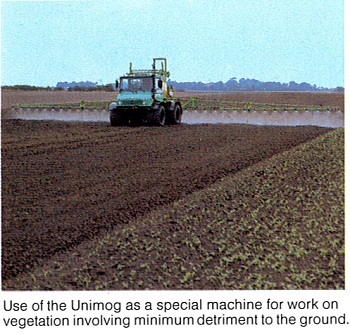 The earnings situation in agriculture is becoming more and more difficult, forcing farmers to make the most efficient use possible of machines and implements. 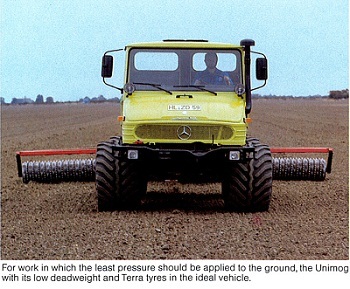 This is complicated by structural changes which mean that farms have bigger and bigger distances to contend with. 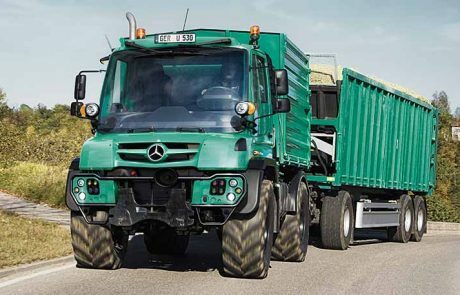 To solve this particular set of problems, what is required is universally applicable working and transport vehicles. 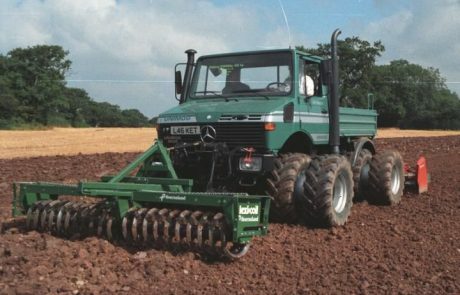 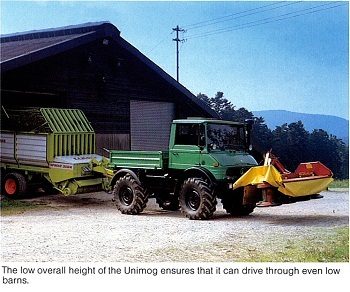 The Unimog has proved in growing measure to be just the right answer. 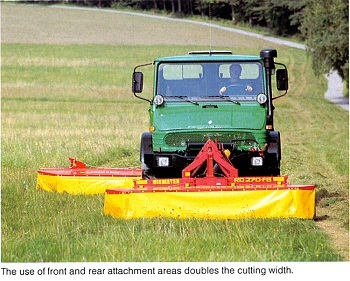 The implements shown are just for example. 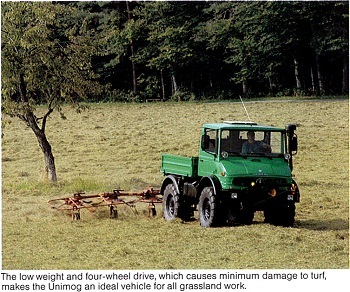 There is a vast selection of other agriculture implements not shown here.